Kelly Services is a temporary staffing agency operating in the United States. Their headquarters is in Troy, Michigan, but they have workers in 41 different countries and territories. They stand for integrity in the workforce and enable companies worldwide to have greater flexibility through their temporary services. See the link below for the online Kelly Services application. William Russell Kelly founded the company in 1946. Originally, the work was confined to Kelly’s offices, but the company adapted when corporations asked them to bring their services on-site. Most of the first employees were female, and the notion of the “Kelly Girl” was important in demonstrating that women could find respect and acceptance in a mostly male-dominated workplace. Today, 550,000 people across the globe have Kelly Services jobs. They are a member of the Fortune 500 and amassed $5.6 billion in revenue in 2014. They now offer a much wider scope of services than just office work, including engineering, information technology, marketing, creative services and more. They have received numerous awards for the quality of its work and its significant community outreach. Kelly originated the idea of the temporary worker and dedicates itself to maintaining its position as the best in the industry. It achieves this aim by working with honesty and integrity to build strong, lasting relationships. Kelly is also committed to challenging yet respecting each person they employ. See the link below for how to apply for Kelly services online. There is no printable application for Kelly Services. Due to the diversity of services they offer and the numerous locations in which they operate, Kelly has endless job opportunities. They continue to offer basic office services, including call centers and other industrial work. However, there are also positions available in specialized fields such as engineering, finance, healthcare, law, education, and many more. 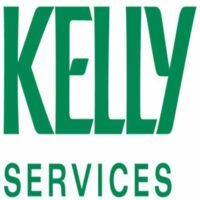 In addition to the temporary service jobs available, there are Kelly Services jobs at their headquarters in Troy and satellite offices throughout the world. These positions involve either managing workers in the surrounding area or recruiting new talent for the team. Most require some previous experience with recruiting or staffing. Kelly Services careers offer an extensive employment benefits package. Health insurance is available to all employees through the Affordable Care Act. Workers receive paid holidays and vacation and are eligible for bonus packages based on service. Kelly also enrolls employees in free online training applications that allow them to further develop their skill set. The sites at which they provide their services dictate the hours of operation for Kelly employees. However, the headquarters and satellite offices are open 8am to 5pm, Monday through Friday. Below is a job description list for several Kelly Services jobs online. Manufacturing Technician- This position is responsible for operating several pieces of equipment in a chemicals manufacturing process. Duties include manufacturing product according to standard operating procedures, keeping equipment clean, reporting equipment malfunctions, and monitoring environmental releases. A degree in life sciences is preferred and experience in a similar work environment is required. Average salary is $14/hr. Laboratory Technician- This opening is for a quality control technician in a petrochemicals laboratory. Typical responsibilities include testing material according to standard operating procedures, establishing quality control charts, and maintaining a clean and safe laboratory. A bachelor’s or associate’s degree in science is preferred, and overtime and weekends are likely. Average salary is $45,000-65,000/year. Talent Solutions Manager- This position oversees the operations of temporary workers at a specific location. The TSM interfaces closely with the customer and acts as the overall representative for the company. Responsibilities include ensuring all staffing needs are met, hiring new temporary staff and ensuring work orders are completed quickly and effectively. A bachelor’s in business or equivalent work experience is required. Average salary is $40,000-$50,000/year. Recruiter- Recruiters are responsible for adding new talent to the Kelly family. They manage all job openings and hiring in a certain location. Responsibilities include screening candidates, communicating with hiring managers on qualified candidates, and making efforts to ensure job offers are accepted. 2-3 years of experience in recruiting is preferred. Average salary is $35,000-$55,000/year. What makes you qualified for this position? Most of the jobs available at Kelly are highly specialized, so it’s important for you to relay the skills and education that make you a perfect fit for the job. How well do you handle pressure in the workplace? Many of the job listings indicate that the temporary work position is at a very fast-paced company. Therefore, you will need to prove that you can effectively work in a stressful. What is your greatest strength? This is another good opportunity for you to be specific to the position. You know what you are applying for ahead of time, so prepare a list of personal strengths that are highly compatible with the job: for example, for office work, you may point out your excellent organization skills. How well do you adapt to change? Because of the scope of their presence in the workforce, you may not stay in one position for long. This may simply be changing companies, or it could potentially mean relocation if you are open to it. Let the interviewer know how you feel about these possible changes. Be honest. Tell me about any volunteering you have done. Kelly is committed to contributing to the local community and environment. If you can demonstrate that you share this passion and will be a leader in their outreach efforts, it will make you more attractive for hiring. Whether you apply online (download application form using link below) or put in a direct application at a local office, there are several things you can do to ensure your success in the Kelly Services application process. Make sure your résumé is grammatically correct and best represents the technical skills for the job for which you are applying. Likewise, proofread your online application before you submit. When you are called in for an interview, dress in business professional attire such as a suit or pant suit. Groom yourself so you look nice, but also allow yourself to be comfortable. Then you are more likely to demonstrate confidence, which is an attractive trait to employers. Greet the interviewer warmly and speak clearly as you introduce yourself. Prepare yourself by coming up with answers to the above questions. Though there isn’t a printable application form to take to the interview, you should bring copies of your résumé for yourself and the interviewer. In addition, make sure you know why you are applying for this specific company and what career path you want to take. The better prepared you are, the more you can relax and enjoy the interview. Finally, have a dialogue with the interviewer about the details of the position for which you’re applying. Because the job openings are so variable, it’s difficult to know what to expect for one specific listing. Good questions to ask include what hours you will work, whether overtime is available and/or required, what a typical work day will be like, and what advancement opportunities there are for the position.